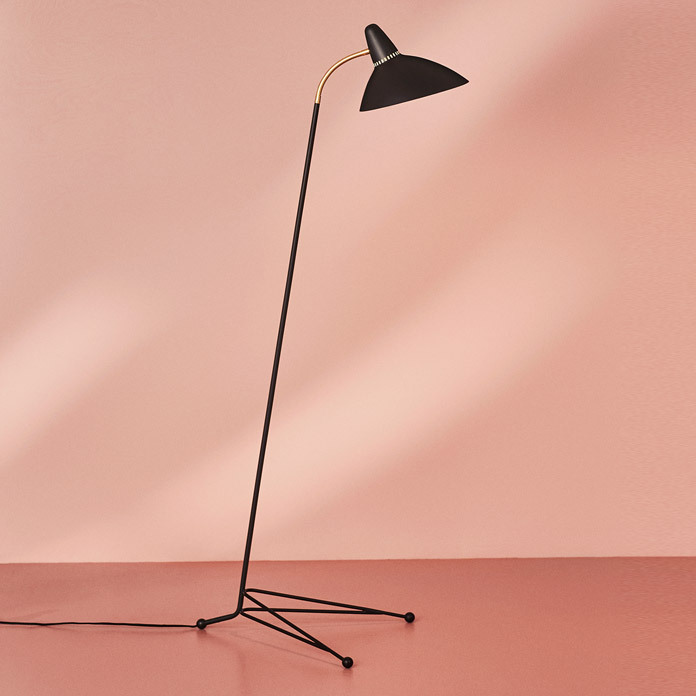 A floor lamp with an elegantly shaped, wide shade by the grand master of 1950s Danish lighting design, Svend Aage Holm-Sørensen. Lightsome is a sophisticated lamp perched gracefully on a slender three-legged base. The generous lighting provided by the large sculptural shade is perfect in the vicinity of a sofa or as a reading lamp next to an armchair. 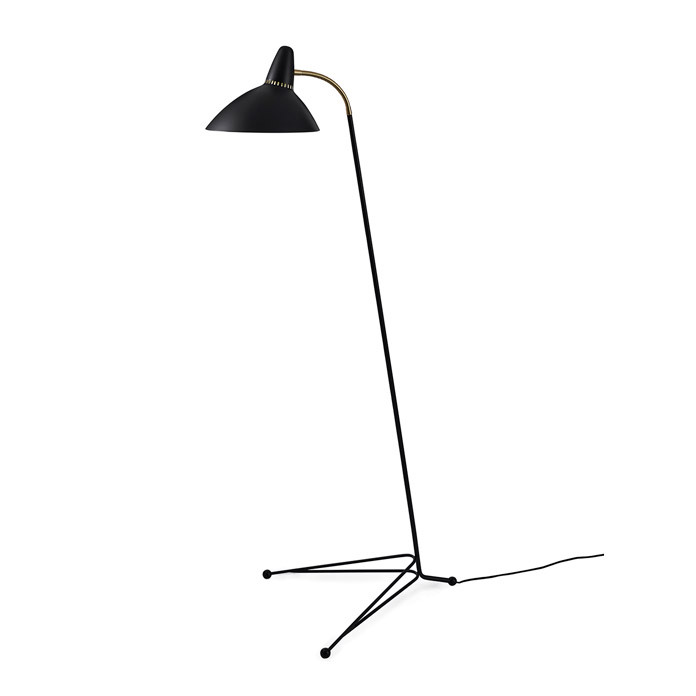 The iconic light holes in the floor lamp’s painted metal shade are an extra Sven Aage Holm-Sørensen designer touch. Its gentle idiom and discreet brass details make Lightsome a timeless floor lamp of the highest quality. Choose from several classic colours in Warm Nordic’s exclusive silky matt quality paint, which guarantees an extraordinarily beautiful and durable surface. The elegant Lightsome lamps were originally designed in the 1950s by the Danish designer, Svend Aage Holm-Sørensen, who was a major pioneer in the world of Nordic lighting design. A beautiful table lamp is also available in the same sophisticated design. The Lightsome lamps feature timeless, sculptural lines in addition to the distinctive light holes in the shade - Svend Aage Holm-Sørensen’s unique signature. The lamps capture the essence of an era, in which the grand master of Danish lighting design, together with architects and designers from all over the world, invested huge energy and passion in the art of lighting and created unique lighting designs. The Lightsome floor lamp has been specially selected for the Warm Nordic range as a tribute to iconic Nordic design that invests modern décor with invaluable diversity and depth.